Beginning January 27th, the annual Goteborg Film Festival in Sweden will be offering up 32 “sarcophagus screenings” of Aniara, a Swedish-language apocalyptic sci-fi film. Billed as “The World’s Most Claustrophobic Cinema,” the word “sarcophagus” in this case equals “coffin”. Eight volunteers per screening will be chosen to be shut into specially-made caskets outfitted with screens, speakers and oh yeah, air vents. You can check out the promo reel for this great big bucket of ‘nope’ after the jump below. You may be asking why this is a thing. Even without being freaked out by closed-in spaces I’ve got to wonder WTF? I mean, it definitely can’t be comfortable on any level. Holmberg goes on to point out that each coffin is equipped with a “panic” button for anyone who wants out before the end of the film for whatever reason, such as choking on trying to eat popcorn lying down. …is the story of one of the many spaceships used for transporting Earth’s population to their new home-planet Mars. But just as Aniara leaves the ruined Earth, she collides with an asteroid and is knocked off her course. 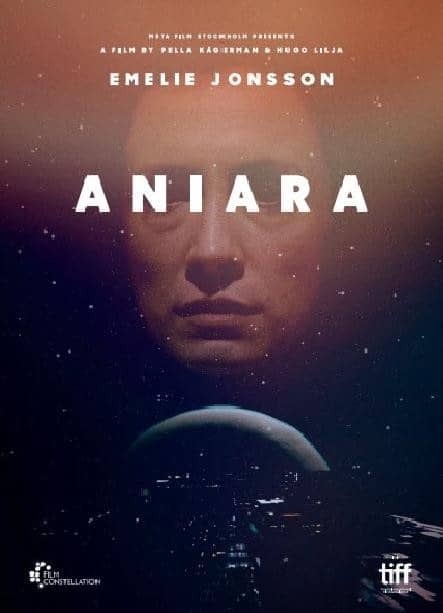 Aniara’s passengers slowly realize that they’ll never be able to return; they will continue onwards through an empty and cold universe forever. In Aniara’s inexorable journey towards destruction there is a warning that cannot be emphasized enough. There’s only one Earth. We have only one life. So, we have to take responsibility for our actions and constantly guard our environment and our humanity. If we don’t, Earth will soon be a paradise lost. 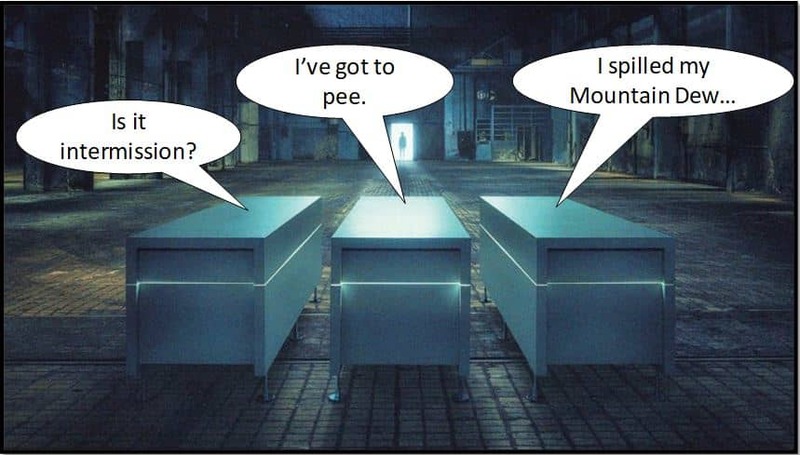 Though I’m patiently waiting for a full VR movie experience which would be incredibly cool, I’m not sure watching a film on a small screen while lying horizontal in a coffin offers the level of immersion that would make this experience truly memorable. I mean, ideas like watching Harold and Maude in Hollywood’s Forever Cemetery or watching Jaws while floating in open water make more sense assuming you need this in your life. At least you can hit the bathroom when you need to. I tried to talk Black Gate photog Chris Z into attending the traveling version of Blackout Haunted House when it came through Chicago, but he said he could just go to work if he wanted to be tortured, rather than paying total strangers $50 to do it. What do you think Black Gaters? Is watching a movie in a coffin something that sounds appealing? Post a comment or drop a line to sue@blackgate.com. Don’t take this as criticism of your lighthearted article, but I find this concept and phenomenon very disturbing. I can’t help but think it’s a representative symptom of just how bored, indifferent, and dull we’ve become in our over-stimulated Western culture. We seem bent on seeking out new “experiences” of all sorts. I’m all for broadening our outlooks, but such (marketed) ideas seem potentially unhealthy.